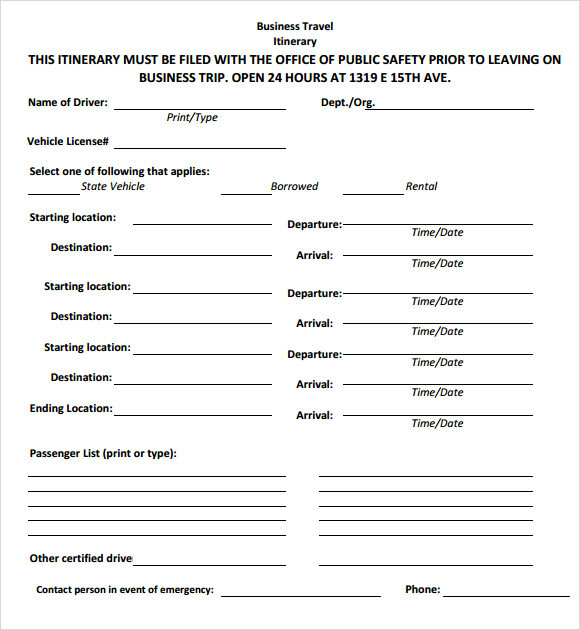 Business travel itinerary template is created for the purpose of business planning including the travel related to business proposals or meetings making it more organize and manageable. 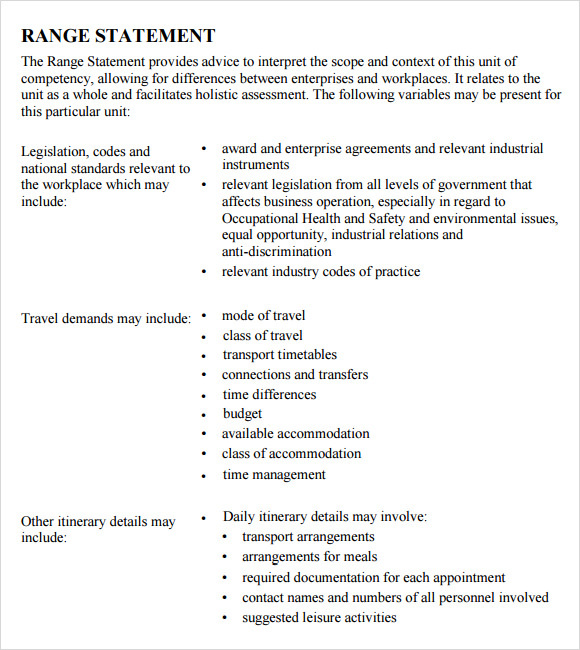 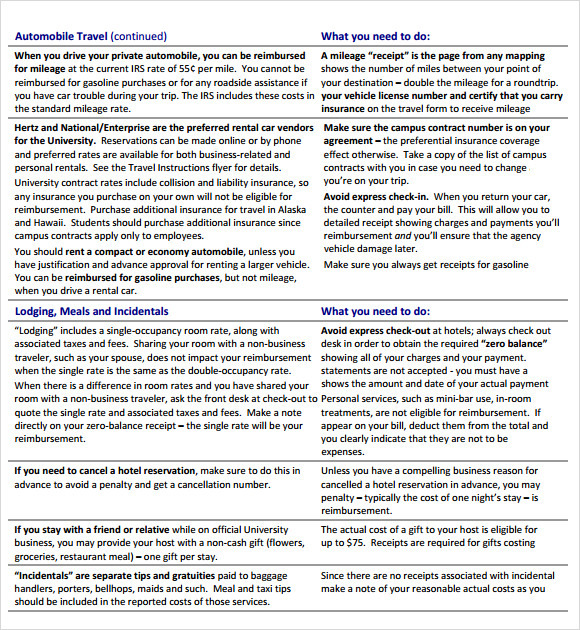 Business travel itinerary pertains to a detailed content of the planned business travel. 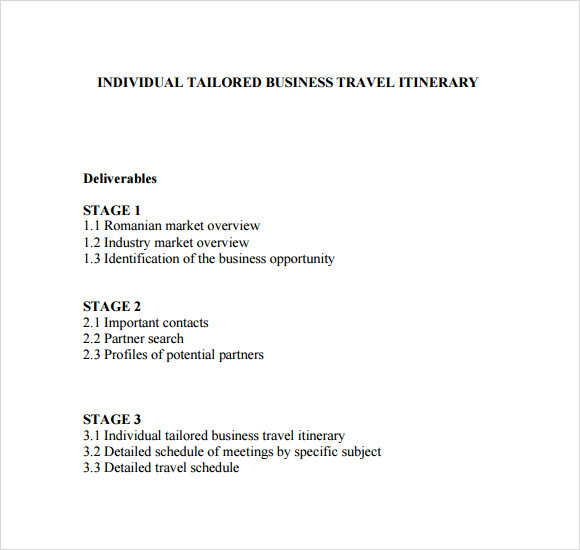 This is when the Business Itinerary company will have the plan to meet with some influential companies around the world and they will send a representative from their company to have a talk and negotiation of their business plans and proposals by managing his or her travel expanses as part of the business work. 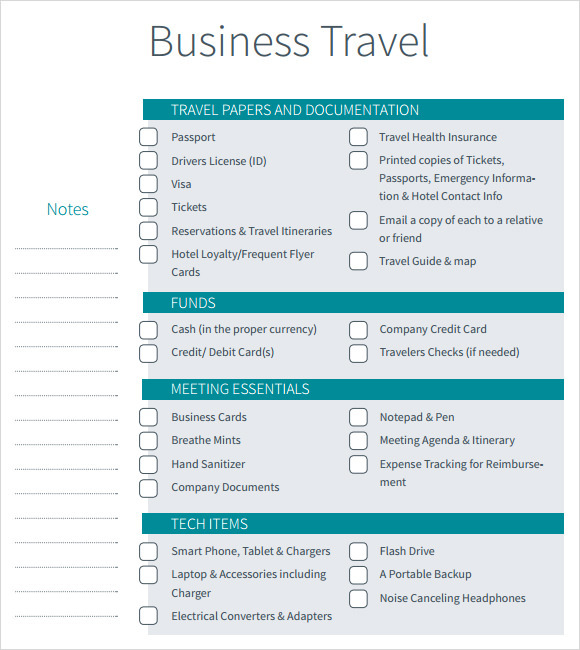 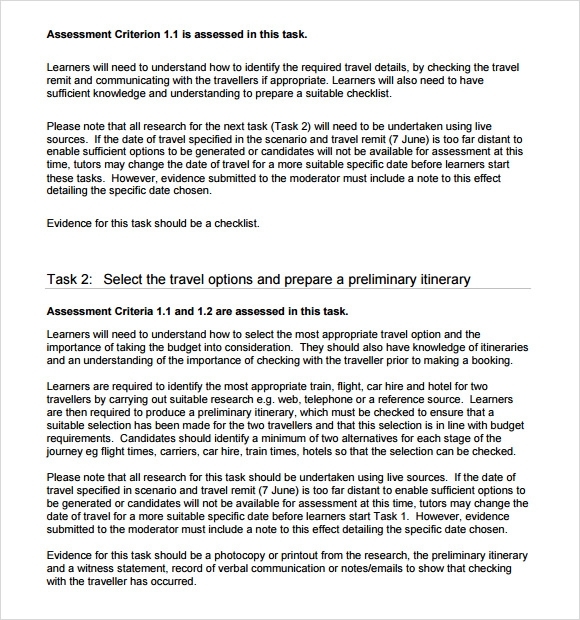 Using a business travel itinerary template that can be readily found available in the website is much easier and accessible with the aid of Microsoft Word or Excel for you to open and download the template. 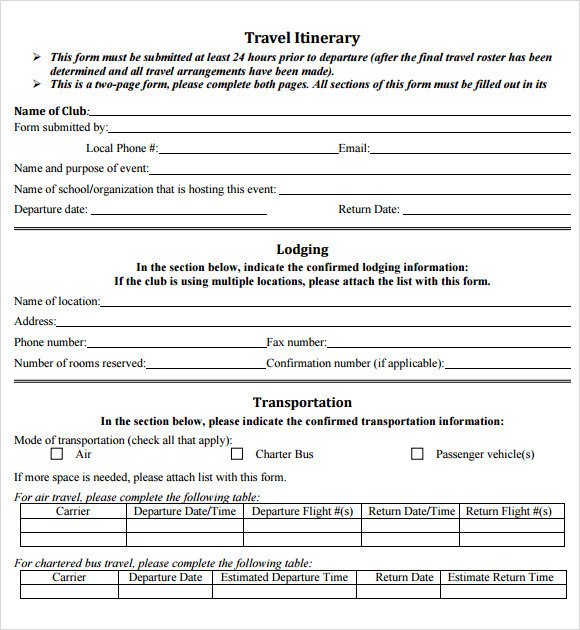 This will also allow the user mainly the employee or staff to create their own Travel Itinerary Template or just modify the details according to the needs and preferences related to business. 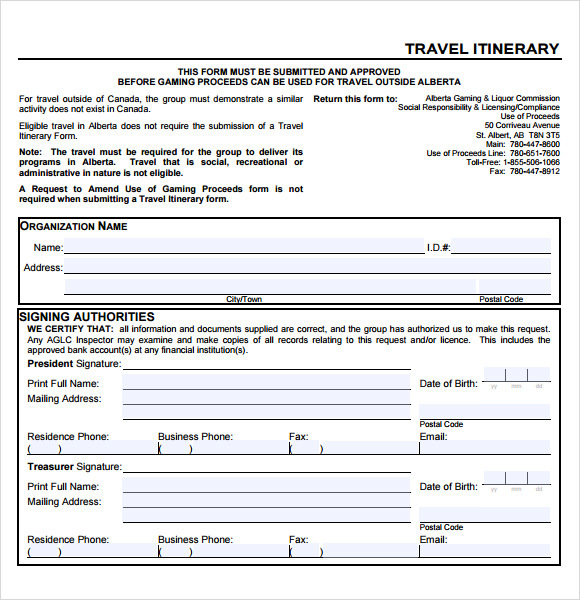 Therefore, the format, layout and outline for business traveling will vary as per desire of the person and the company that he or she is affiliated to travel.